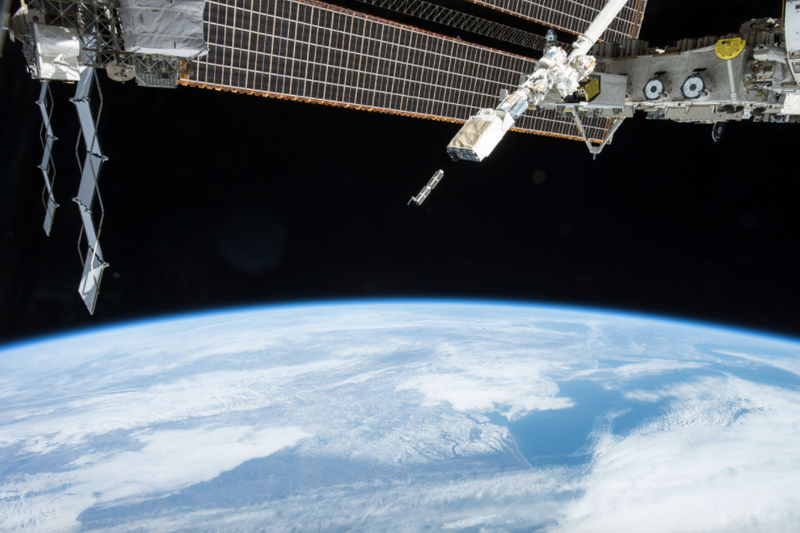 The South African satellite industry is taking yet another step forward as a player in the international arena with the launch of two South African built nanosatellites from Cape Canaveral in Florida within the next few days. Two nanosatellites, ‘nSight1’ designed and manufactured by Cape Town-based SCS Space, a member of the SCS Aerospace Group and ‘ZA-Aerosat’ designed and manufactured by CubeSpace of the Stellenbosch University, are to be launched as part of a batch totaling 28 nanosatellites from 23 different countries. The current information provided by ULA, the launch service provider, is that the Atlas V & Cygnus OA-7 launch is set for 18 April 2017 at 17:11 South African time (11:11am EDT) following a number of rescheduled events due to ground equipment readiness. Their initial destination is the International Space Station (ISS), where they will be unloaded by the ISS crew and transferred to deployers with the help of robotic arms. The satellites will eventually be deployed into low-earth orbit over a period of 30 to 60 days as the ISS orbits the Earth. 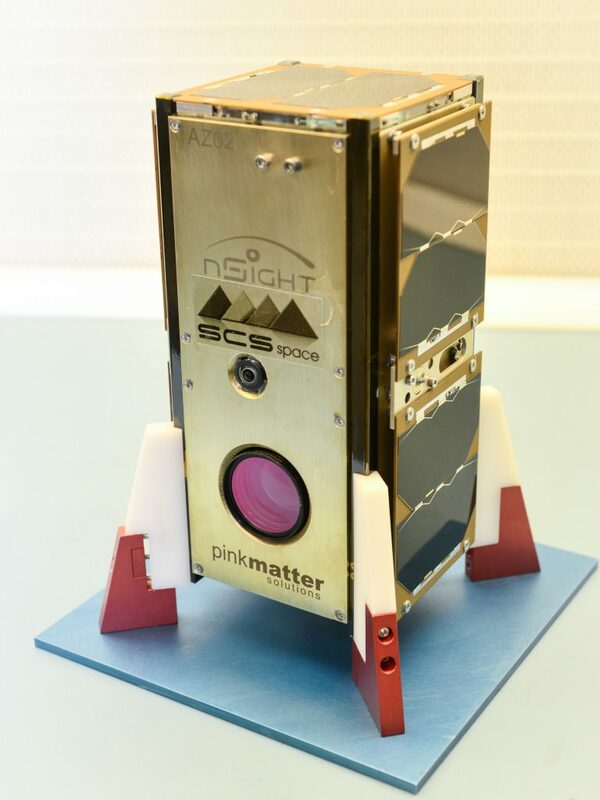 The SCS Space nSight1 satellite project is a joint investment by SCS Aerospace Group and Pinkmatter Solutions who supplied the ground segment software. The satellite was designed, integrated and tested by engineers from the Space Advisory Company and assembled in the clean room of NewSpace Systems, both part of the SCS Aerospace Group. A key part of the mission of the satellite is to allow for the testing of the newly developed SCS Gecko Imager as well as Nelson Mandela Metropolitan University’s patented Radiation Mitigation VHDL Coding Technique. The satellites are part of the QB50 project funded by the European Union and managed by the von Karman Institute to conduct research in the lower thermosphere between 200km to 380km altitude. The data collected from this experiment over a period of 18 months will be used to complement current atmospheric models especially applicable to reentry trajectories of spacecraft. All the nanosatellites will eventually burn up at the end of their operational lifetimes. “We are proud to be a part of an international space project of this magnitude. 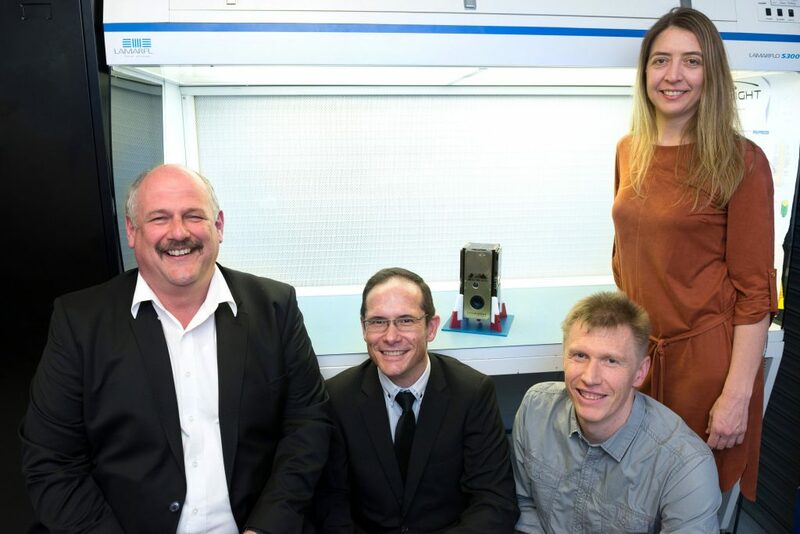 It affords us the opportunity to test the next generation space camera technology which was uniquely developed by SCS Space and partners within industry development initiatives of the South African Department of Trade and Industry,” says Hendrik Burger, CEO for SCS Space, the primary contractor for the nSight1 nanosatellite. “We are also looking forward to the next stage of this project which encompasses operational aspects such as mission control and processing the data received from our satellite. This will be done through our Houwteq Ground Station near Grabouw in the Western Cape,” says Burger. SCS Space is a subsidiary of the SCS Aerospace Group, Africa’s largest privately owned satellite concern. Other participants in the project are Pinkmatter Solutions, Space Advisory Company, NewSpace Systems, Stellenbosch University, CubeSpace, Simera Technology Group, Cape Peninsula University of Technology, Nelson Mandela Metropolitan University and the Amateur Radio Society.